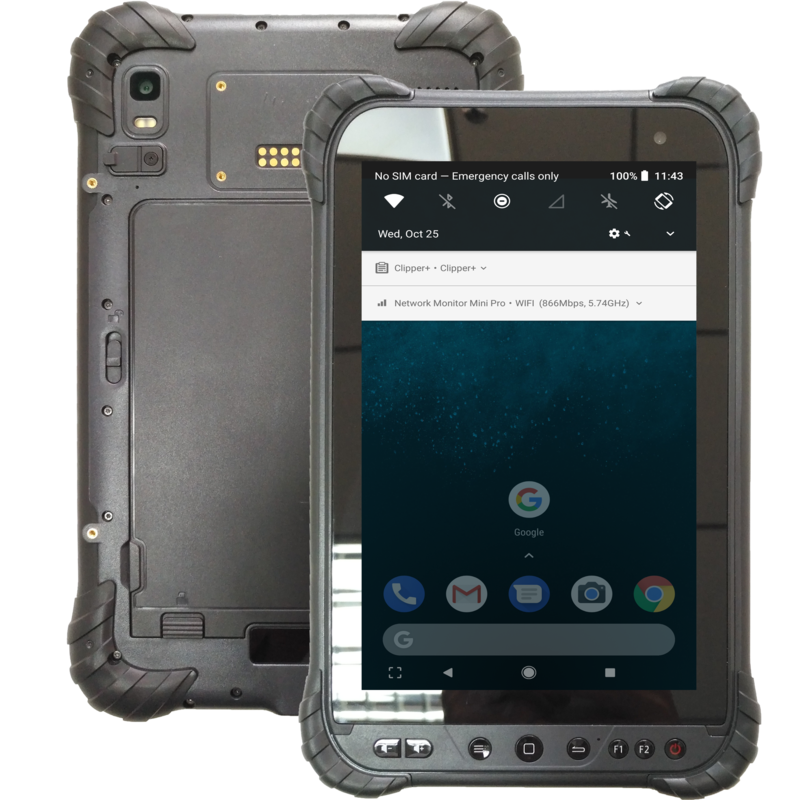 SA T9680 black series is Android 7.1 rugged industrial tablets, which is designed for heavy duty working applications with cost-effective cost. This series has general version T9680-ST84 and Data Capture version T9680-A51U for 1d and 2d barcode. 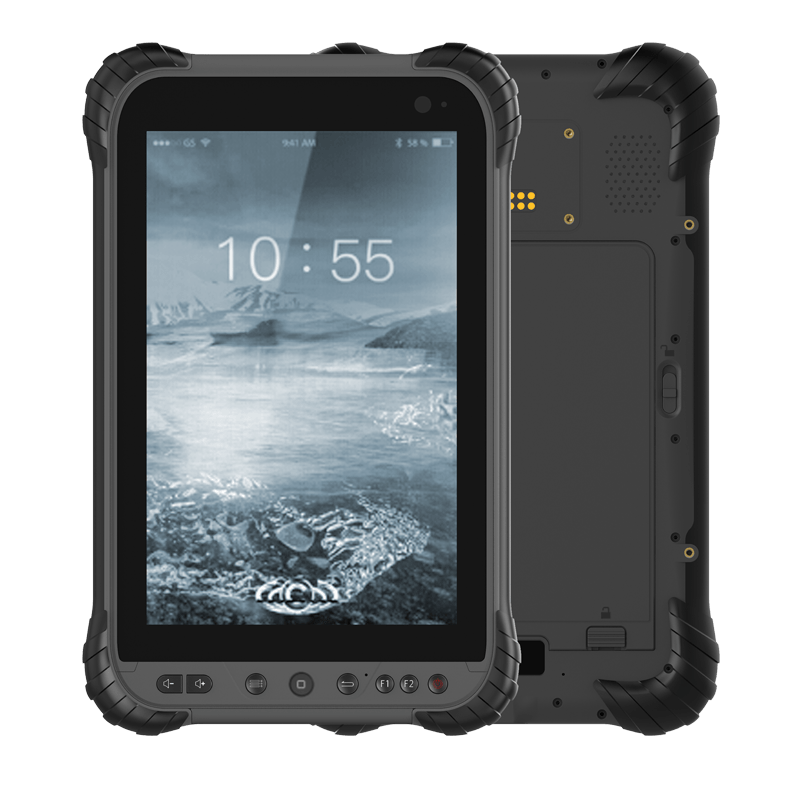 Swiftautoid SA T9680 Mobile Computing Black series is Android 7.1 Industrial Rugged Tablet. It has 8 inch LCD screen, 1280*800 and large volume capacity 3.8V, 8000mAh battery. This mobile computing black series have various of wireless communications. 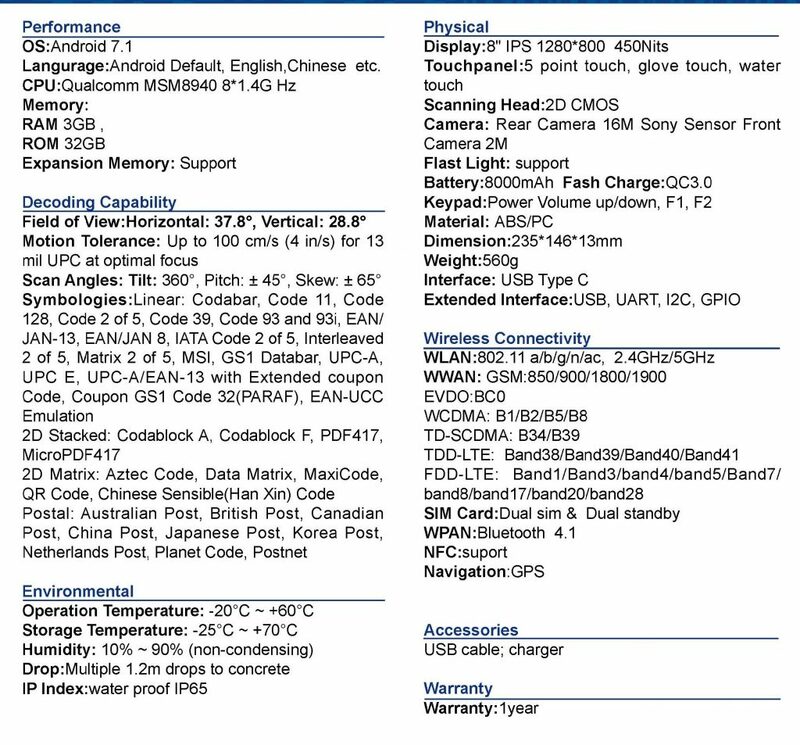 It supports 2G/3G/4G, bluetooth 4.0, GPS, IEEE 802.11a/b/g/n/ac, etc. 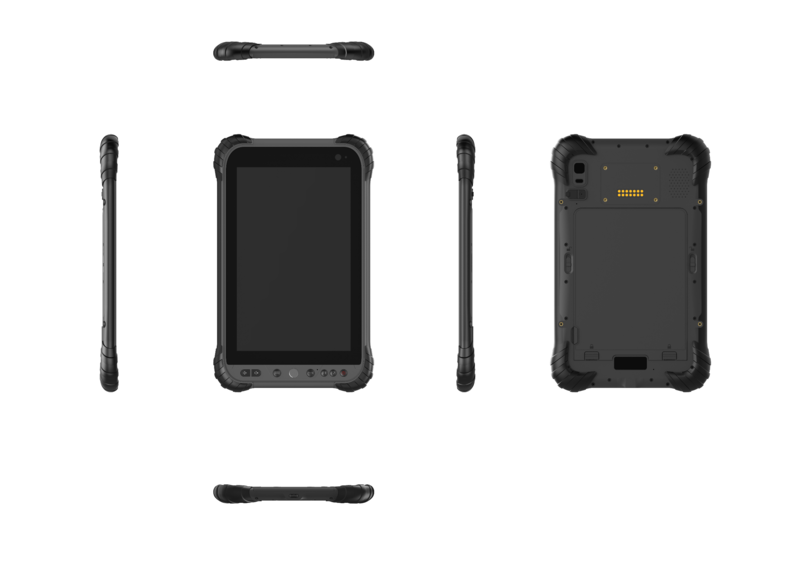 This mobile computing tablet can be integrated with various brand high performance scan engine. It provides users with more convenience for decoding all standard 1D and some types of 2D barcode, whether printed or displayed on mobile device, which enabling them to be more productive and reducing your need to invest in multiple devices.